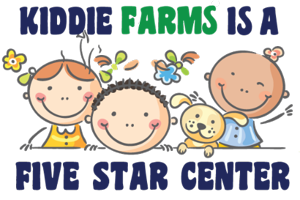 Kiddie Farms Child Development Center offers childcare services in the Charlotte area. Since 1987, we have been building young minds by encouraging them to be creative, innovative and expressing themselves in a positive way. We offer summer camps for children between 8 weeks to 12 years. Two-way transportation services are also available. At Kiddie Farms Child Development Center, we provide an encouraging, nurturing and fun learning environment for your kids to develop their skills. To maintain the health of your child, we give them well-balanced meals and snacks every day. When you enroll your child with us, rest assured that they are safe and comfortable. Call us at (704) 412-4594 to learn more. You Could Win a Carowinds Season Pass by Registering With Us! Call Now at (704) 412-4594.